Many travellers head to France wishing to experience the amazing food. And if you feel like you want to take the ‘foodie’ experience to a whole new level, then checking out a Michelin-starred restaurant could be for you. 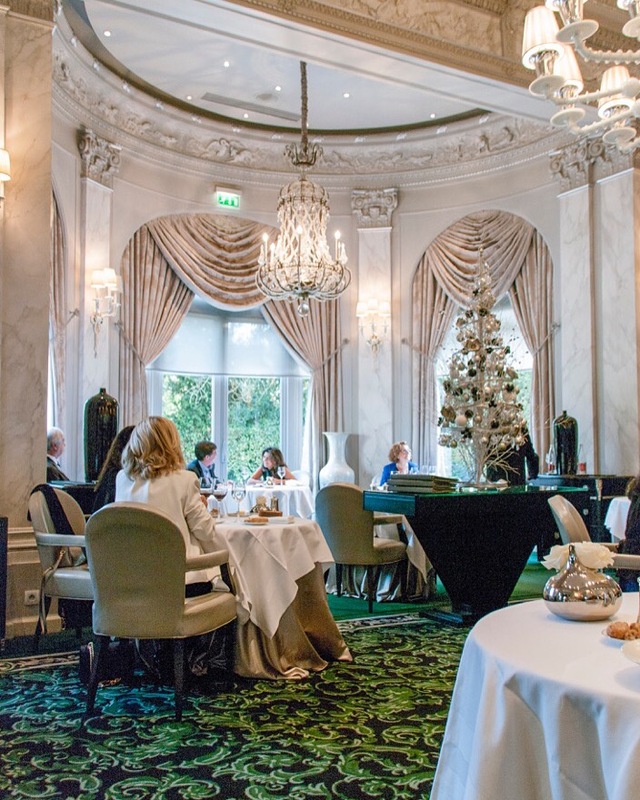 We’ve been lucky enough to eat at a number of one, two and three starred restaurants now and it is always a special experience – particularly in France. So today I thought I’d share our top seven tips for Michelin-starred dining in France. Book early. Most top flight restaurants now seem to accept on-line bookings. I usually try to book our Michelin-star experiences about three months ahead. Yes, this takes some planning and doesn’t work if you don’t know where you’ll be when, but it avoids disappointment (and allows time to save). This is especially true if you want a window seat at somewhere like Le Jules Verne. Don’t feel or be intimidated. Our friend Stuart argues that the best French restaurants make the diner feel completely comfortable – and I absolutely agree with him. But sometimes it’s not the restaurant that does the intimidating – you can psych yourself out thinking that you are not fancy enough to be in such flash restaurant. Please don’t do this. You have as much right to experience this sort of food as anyone else – and your money will work just as well too. Relax, take in the sights, tastes and smells and simply enjoy. Don’t be pinching pennies. Let’s be brutally honest. Michelin-starred dining in France is not cheap. But you don’t want to waste this experience worrying about the cost – or whether your credit card will be rejected at the end of the meal. Do your research beforehand, understand the average cost and then allocate your holiday funds appropriately – or simply save for the experience. That way you can enjoy every second of it. Do go for lunch. Having established that this kind of dining can be expensive, one way to experience Michelin-starred excellence on something a bit more budget friendly is to book a table for lunch. This way you get to an amazing culinary experience and the show that is Michelin-star service, at a more manageable price. Many of the most fabulous restaurants, including Paul Bocuse’s L’Auberge du Pont de Collonges, offer a fixed price lunch menu. These menus often look like they contain three courses but you often end up with six or seven courses by the time you are presented with amuse-bouches, palate cleansers, cheese and petits fours. And don’t feel you are being ‘tight’ when ordering this menu – the staff often seem more surprised when you don’t! Don’t be scared to taste something different. You can almost guarantee that there will be something on the menu that you think you don’t like, but you need to trust in the skill of the chef. A Michelin-starred restaurant is the perfect place to either try something brand new, or something you don’t particularly like. You can almost guarantee that it will be prepared in a way that is likely to change your mind. Get assistance with matching the wines. The wine list is only for the very clever or the very brave. For the rest of us, they invented the sommelier, who will be more than happy to enhance your dining experience with a perfectly matched wine. Many lunch options are offered with matching wines which makes things very easy. Do check the dress code. Interestingly I offer this tip for gentlemen rather than the ladies. Quite often, the restaurants prefer gentlemen in a jacket – Le Taillevent is a prime example of this. The restaurants are more forgiving for the ladies who seem to be able to wear what they choose – at least at lunch time. And in that regard, we’ve witnessed everything from fascinators to running shoes. My advice is to dress nicely but appropriately for the weather. There you have it – our top tips for Michelin-starred dining in France. Do you have any other hints for making the most of an amazing dining experience? If so, please share them in the comments section below.